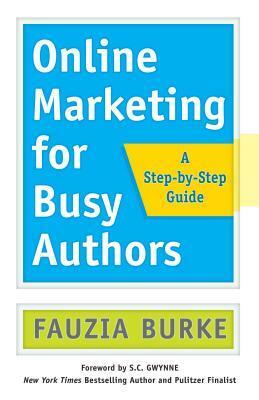 Online Marketing for Busy Authors: A Step-by-Step Guide by Fauzia Burke offers new authors and busy authors who know little about online marketing a step-by-step guide that will minimize missteps. Like when plotting a story, authors will have to do some legwork, creating a marketing outline of sorts. First of all, books are like an extension of an author’s brand; so an author will want to examine what their goals and dreams are, as well understand who the readers of a particular book are. Are they young women? Are they older, college-educated men? You get the idea. 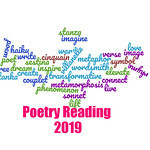 Burke includes some worksheets to help authors get started outlining their personal and professional goals and dreams, and how their books play into that process. Authors also can use this form to identify their audience, which will later help determine which social media channels will be the best marketing tools, cutting down on wasted efforts on channels that the identified audience doesn’t use as often or at all. The goal is to be able to tell a room full of people in just a few sentences what their book is about and how it fits with the audience it targets. With Facebook, Twitter, Instagram, Pinterest, and many other social networks to monitor in addition to traditional marketing techniques, authors may wonder when they’ll find time to write another book. Burke’s no-nonsense style will speak to busy authors because she makes the task of online marketing seem less daunting, especially for those who feel overwhelmed by the process. Burke also notes that the most successful authors are those that know their brand, their audience, and target their time toward those things, as well as their secondary goals, which may include building relationships with readers, helping a specific group, or calling attention to a specific cause. In addition to the pre-marketing research, Burke offers a priority list for authors, and one of the items on the list may surprise some. Online Marketing for Busy Authors: A Step-by-Step Guide by Fauzia Burke is a great place to start with learning how to market a book online. It not only will educate authors about themselves and their books, but their audience as well. When done right, these authors will build a fan base that will happily help them market their books to others, turn out for events, and more. But it can’t just be about marketing. She reminds authors that social networks are about building relationships that last. Fauzia Burke has been a leader in online marketing and digital branding for authors and others for nearly twenty years, now integrating publicity, branding, social media, and websites to establish clients online. This seems like a useful, practical guide for authors in the Age of Social Media! I really thought it would be helpful.